Apple has introduced the first update to its iMac all-in-one desktop computer since mid-2017, continuing a hardware blitz ahead of a highly anticipated event on 25 March to unveil new media and entertainment services. 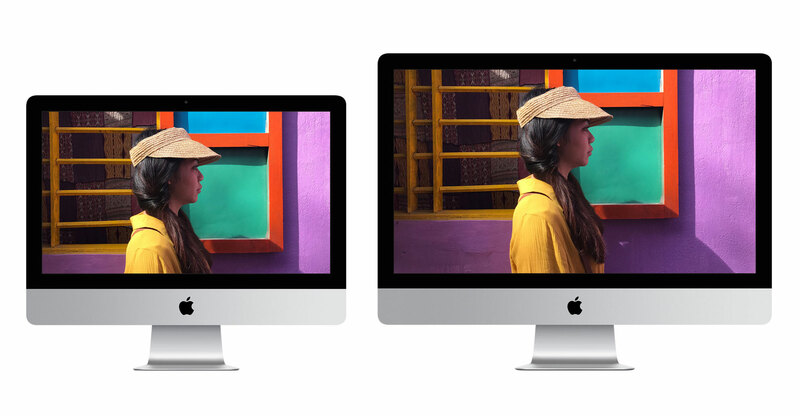 The latest iMac adds speedier processors from Intel and new graphics engines from AMD. The new 4K 21.5-inch models are up to 60% faster with 8th-generation quad-core chips, while the 5K 27-inch versions are up to 2.4 times faster with 9th-generation eight-core Intel processors, Apple said Tuesday. The new 21.5-inch iMac will still start at US$1 299, while the larger-screened model will sell for $1 799. Apple is also still selling a 21.5-inch iMac without a 4K or 5K screen for $1 099. Last year, the company introduced a revamped MacBook Air and Mac mini. It’s planning to launch a new Mac Pro, Apple’s highest-end desktop without a built-in screen, as early as June. The Mac hasn’t been Apple’s most important product for decades, taking a back seat to devices like the iPhone. But the category is a steady seller, generating about $25-billion in annual revenues for Apple in the past half-decade. Still, the company had only 7% of the global market in PC shipments during the fourth quarter, coming in fourth behind Lenovo, HP and Dell, according to industry analyst Gartner.